The Alpha talks are designed to engage and inspire conversation. They explore the big issues around faith. 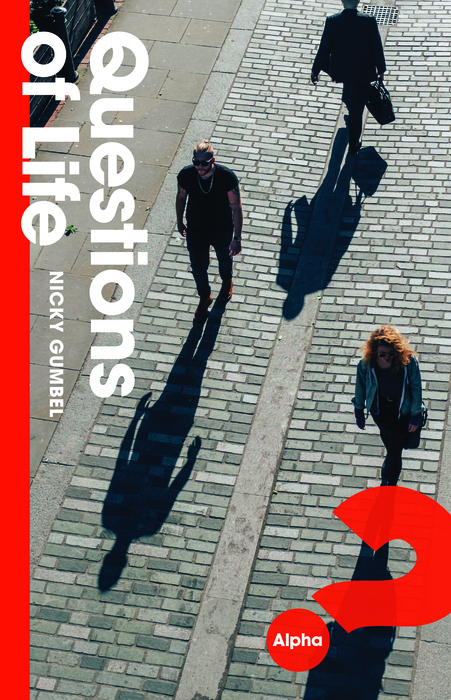 Nicky Gumbel's book, Questions of Life are all the Alpha talks in written form. We have taken the Questions of Life book and created individual booklets for each chapter. You may download them for free or buy the booklets or complete book below. Why does God allow suffering is the most commonly asked questions on Alpha. This and other pressing questions are discussed in Nicky Gumbel's book Searching Issues. We have taken the Searching Issues book and created individual booklets for each chapter. You may download them for free or buy the booklets or complete book below.